Who says the remote working environment will loosen the connection between members? 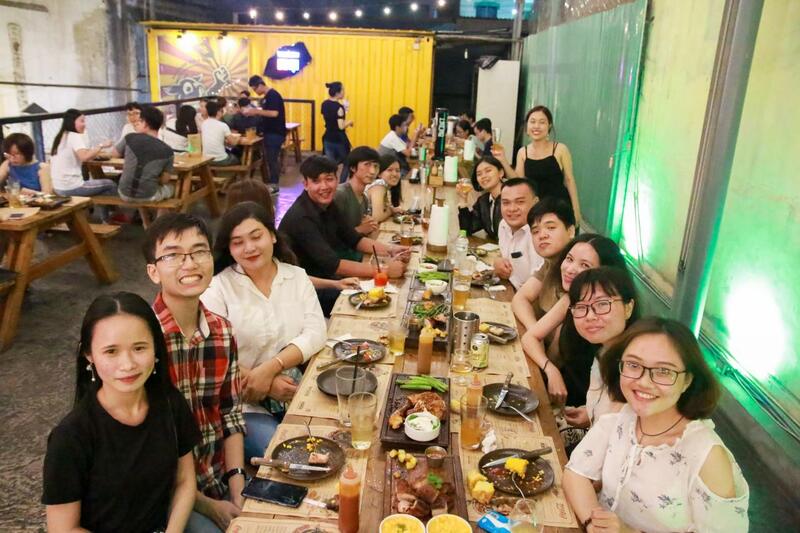 At Vantay Media, we always have a very personal way to tighten teamwork, through training sessions sharing knowledge, with beer, with offlines playing board games, and with team-building trips filled by young energy. 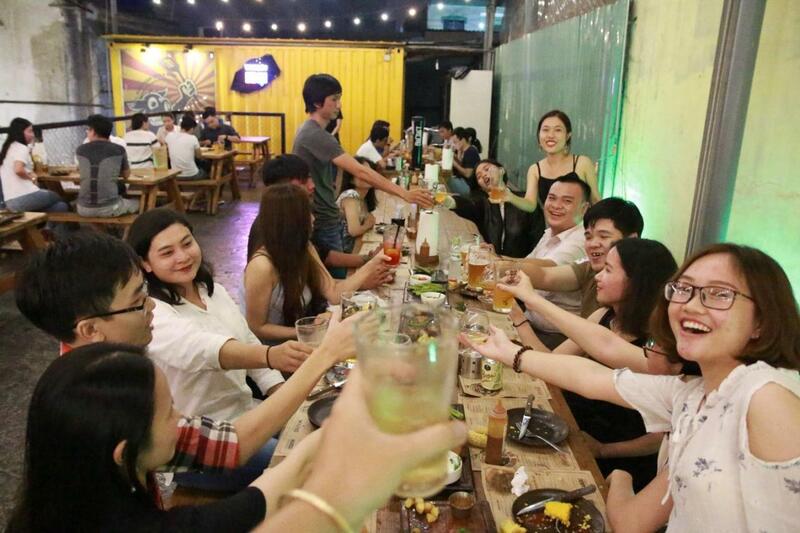 Young generations have their milk tea culture, and we have our beer one. We always begin our conversations along with handmade beers full of “creative” flavor. 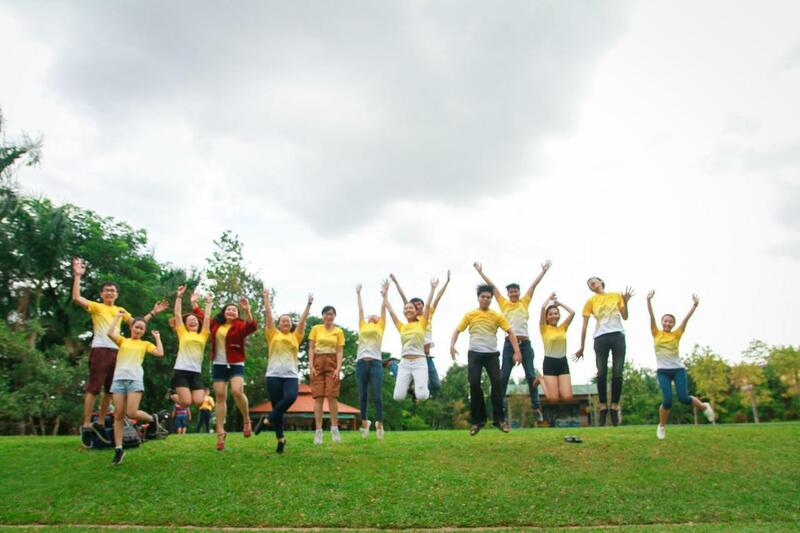 Like the way Vantay Media chose to grow up every day on the journey of expressing our different values. Yesterday, with the beer in their hands, teammates working together through many bloody projects stood a chance to sit down, chatting intimately with each other for the first time. That evening seemed to be a reunion between friends who had not met for a long time, rather than a referral as it was. Some in Saigon, some in Cantho, but the hesitation often appearing among the first time face did not interfere in the happy hours. We shook hands happily, sat down together and talked to each other like the way we usually cope with friends. We shot the breeze and “Dzo”, and talked about the nearly handsome Korean guy. 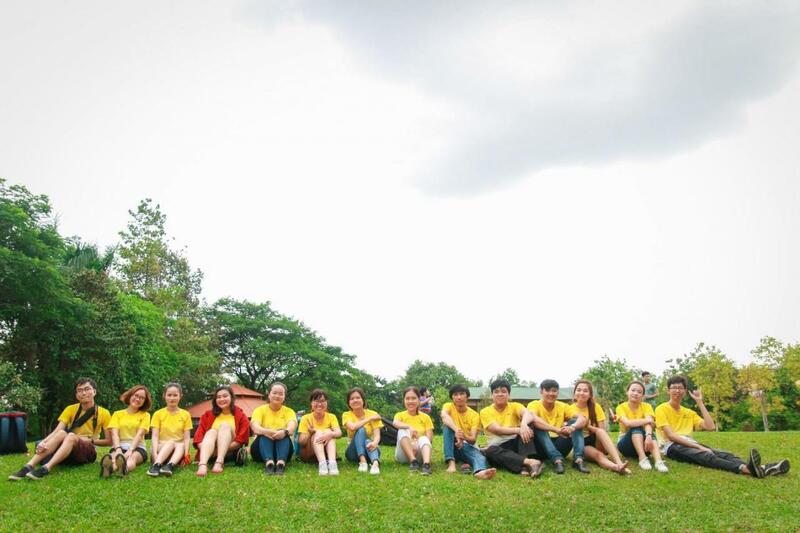 We closed the day with a fun Karaoke until midnight and did not bother about early gathering in the morning to move to Vuon Xoai, Dong Nai for the team-building trip. At Vantay, we have a burning desire of playing a board game using all of our brain neurons – Werewolf. Besides the ability to work in many places, only with a laptop, we have the ability to play werewolf everywhere as long as we have the deck. And we played Werewolf in the state of heads and feet being staggered on the way from Saigon to Dong Nai. However, it was only the beginning of a fun day. 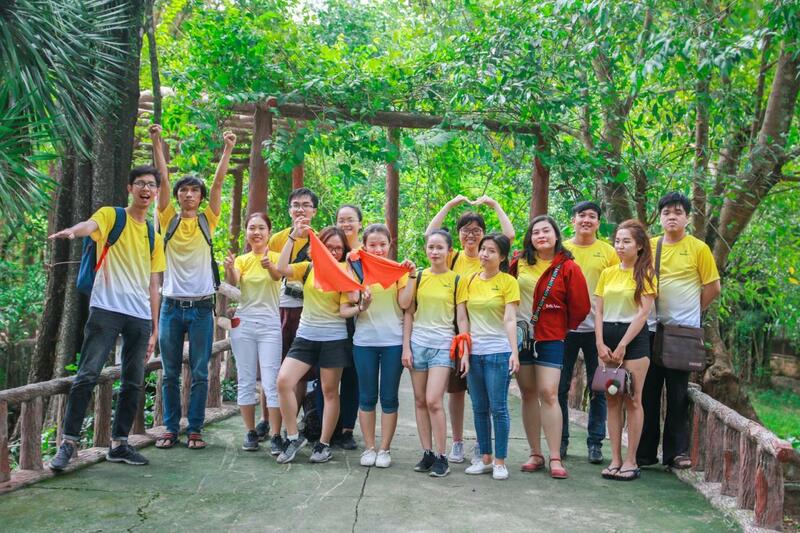 We were divided into two teams: Team “Are you afraid?”, and Team “Not afraid of Yen” (note: Yen is the powerful boss at Vantay), to compete for an extremely valuable award – 1 million Vietnamese Dong. Opening game was a very familiar one: two people – three feet. The team “not afraid of Yen” constantly won in the game and the next game – speed stacking thanks to the name Yen. 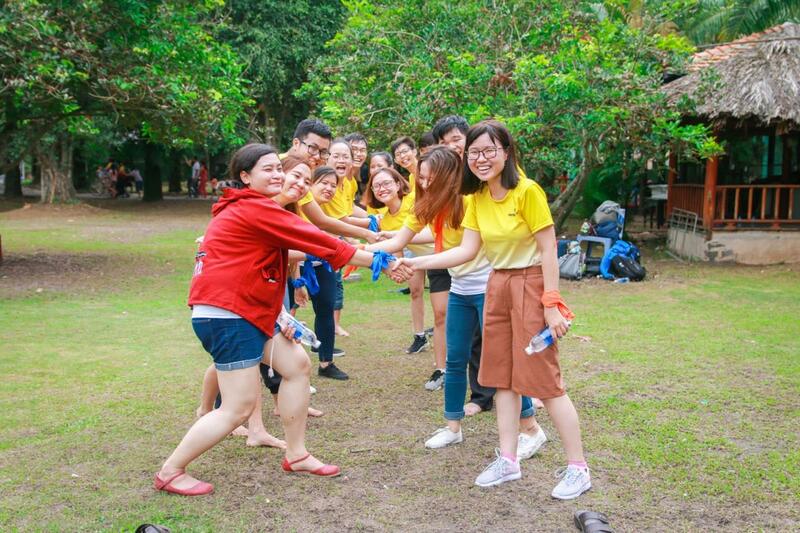 Come to the relay game, team “Are you afraid?”, with the participation of Luu Trong Nhan – a leader of TELOS, with his long legs, was predictably a game changer. The game was getting more and more intense, people were holding their breath waiting to see how he turned the tables. He was over his opponent as fast as a ghost and then fell right at the sharp edge. Never surrender! 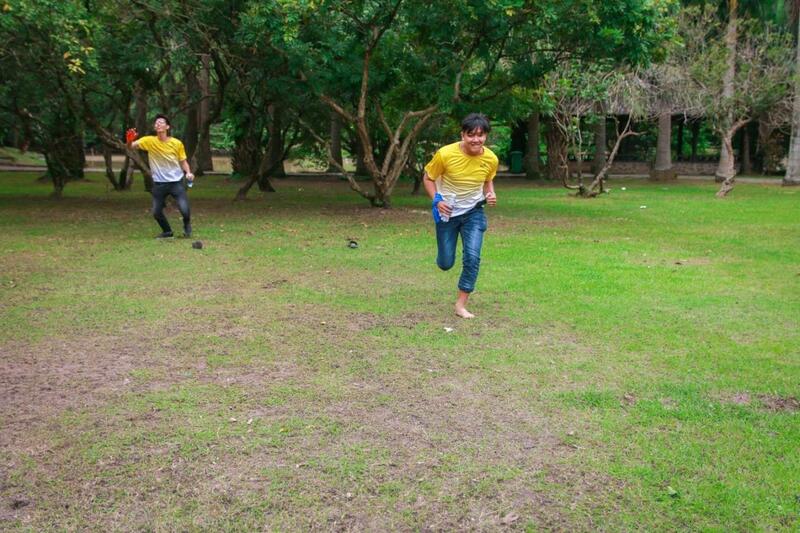 Bui Nguyen Quoc Toan – founder of Van Tay – decided to quickly grab the bottle from Mr. Long Legs and run fast to save the team. And he did it. At the moment he immersed in the (scenario of) glory, instead of passing the bottle to the next, Mr. Toan held the bottle cheering, while his teammates shouted in tears “Give me the bottle”. The playing game ended with a temporary win over “Not afraid of Yen”. Two teams took a break, ate ostrich meats, grilled crocodiles and many other delicious dishes, before entering the battle of the brain to determine the winner: an intellectual game. Just take a break to play another game! 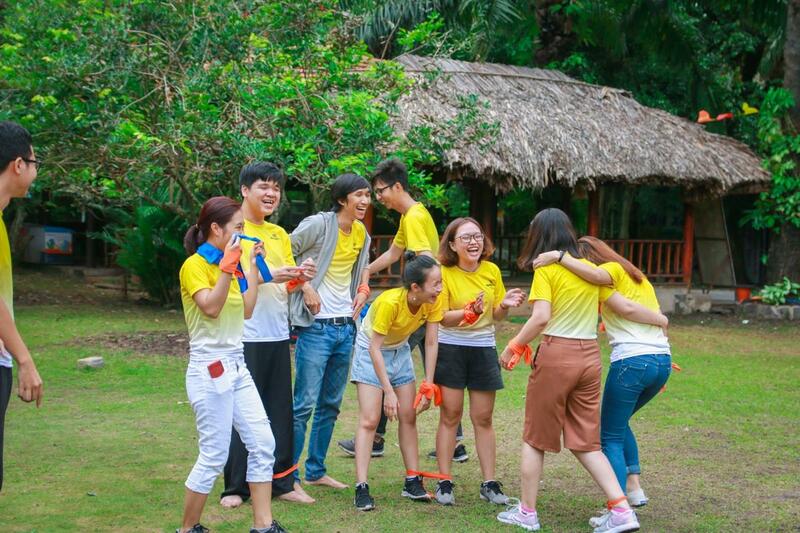 In this game, each team had to alternatively list the name of a body part starting with a C or L in Vietnamese. Team “Are you afraid?” won the game One, Two, Three, so they quickly chose the word C.
Which body parts start with the letter C and L? There were many parts of human body which they could list. After nearly half an hour of intense brainstorming, the team, “Are you afraid?” turned up the fight and won the final with a prize of 1 million. The team decided to spend 1 million to pay for the next Werewolf game. OMG, werewolf time!!!! Bye for now and see you again! The Opening Ceremony of VTM’s new office is coming!